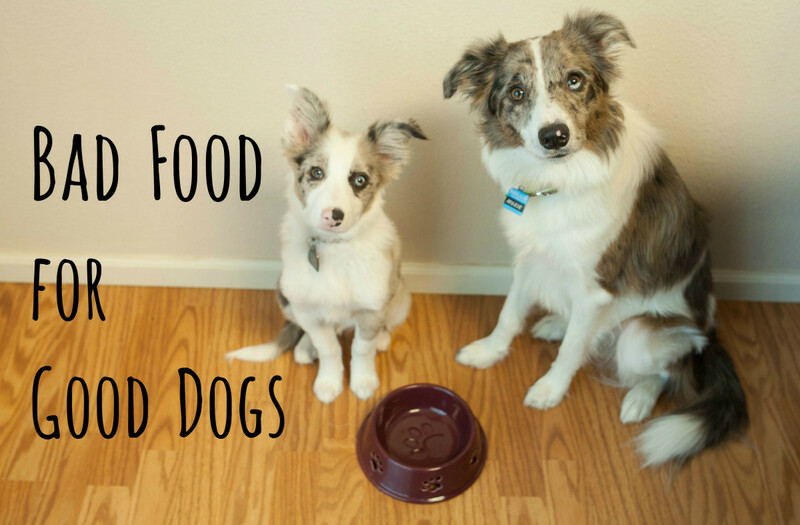 Why do Dogs Love Cat Food so Much? There's no shadow of doubt about the fact that dogs love cat food. 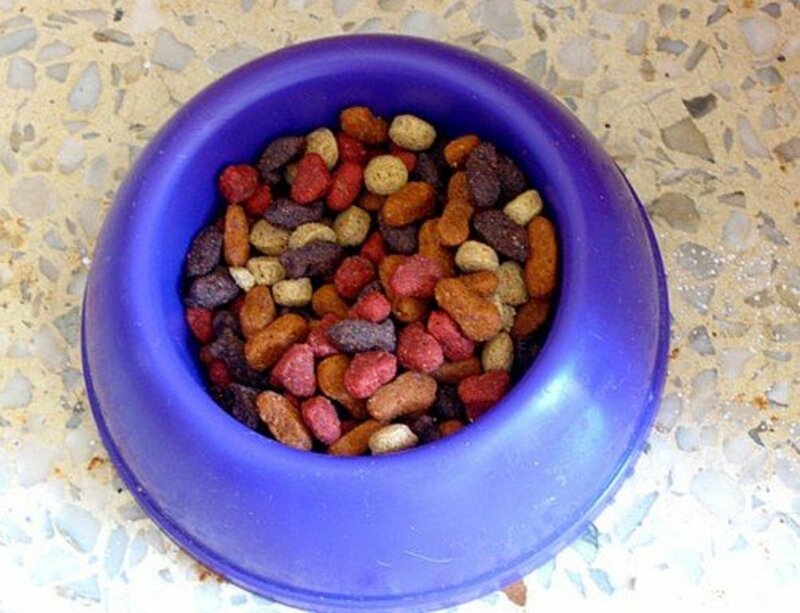 Some dogs love cat food so much I have seen the owners use cat food as a form of high-value treat to reward them for those exceptional performances. Dogs love cat food so much that many cat owners are forced to feed their cats in separated areas that are out of Rover's reach. 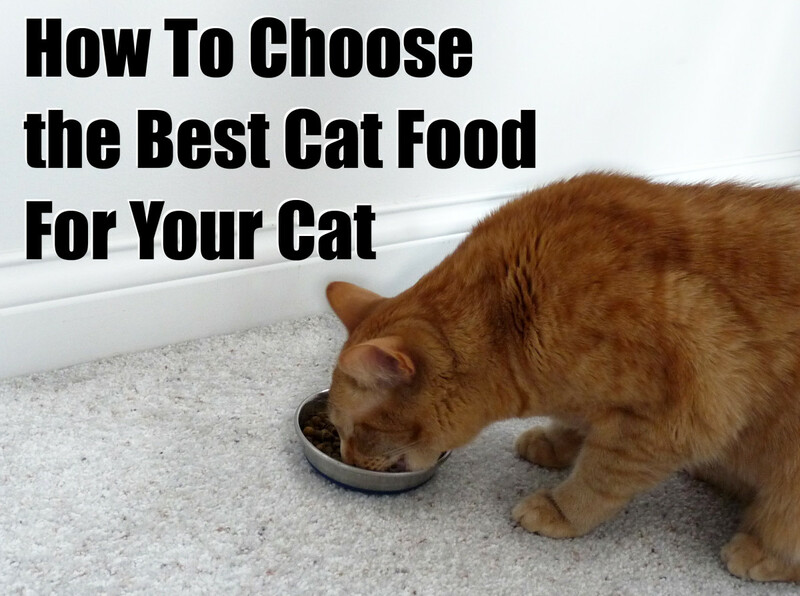 Cat food is so appealing to dogs that they'll even enjoy eating it even after it has been digested and transformed into a totally different form that is deposited in kitty's litter box. As much as the yuck factor kicks in, there's no denial that many dogs perceive kitty's "Tootsie rolls" as a pure delicacy. So what makes cat food so appealing that dogs make a beeline for it? Is it just the fact that it's different? Does Rover get an adrenaline rush when he steals it? Is it more appealing because it's left out longer versus dog food which is served at specific times? Or does it actually taste better? At a first glimpse, dog and cat food appear strikingly similar. They are both dry kibble that come in similar shapes and looks. They come in bags and they may even have a similar smell. Yet, they are both quite different when it comes to ingredients. Cats are obligate carnivores, and as such, their diets are very rich in protein. Sharon Crowell-Davis, DVM, DACVB and professor in the College of Veterinary Medicine at the University of Georgia, suggests that it's this high protein content that has a major impact on flavor. The fact Rover loves Fluffy's food is a no-brainer, but the real question is: will it harm my dog in the long term? In the next paragraphs we will take a look at the health implications and side effects derived from eating cat food as a habit. Feed kitty on a higher surface that your dog can't reach. Separate kitty's feeding area with a gate that the dog can't jump over or crawl under. Invest in a crate that the dog cannot fit into. As mentioned, cat food and dog food may look strikingly similar, but at a closer inspection the content is quite different. As obligate carnivores, felines have different nutritional needs compared to dogs who are omnivores. Let's take a look at the difference between the two, shall we? Obligate carnivore means "meat eater by necessity." In other words, it' a biological necessity for kitty to eat meat. Without meat, cats will fail to thrive because meat contains the essentials for their survival. For instance, cats have a biological need for taurine, an aminoacid that is mainly found in animal flesh and it's also critical that cats ingest arginine which is also abundant in meat sources, as well as arachidonic acid. As obligate carnivores, cats also have a high need for protein. In order to live and thrive, cats therefore need meat. 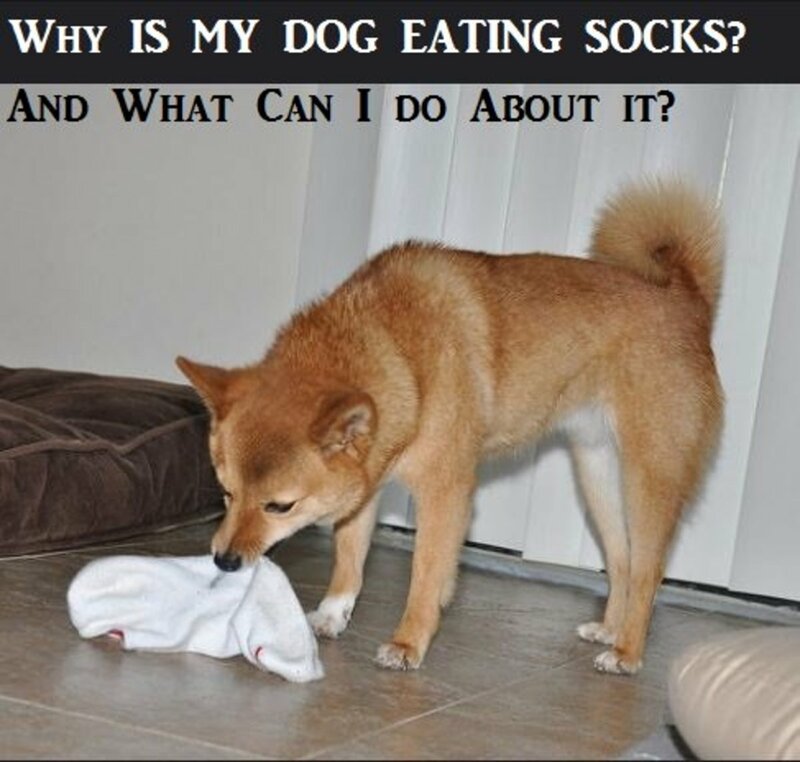 On the other hand, despite their classification as Carnivora, dogs are considered omnivorous. 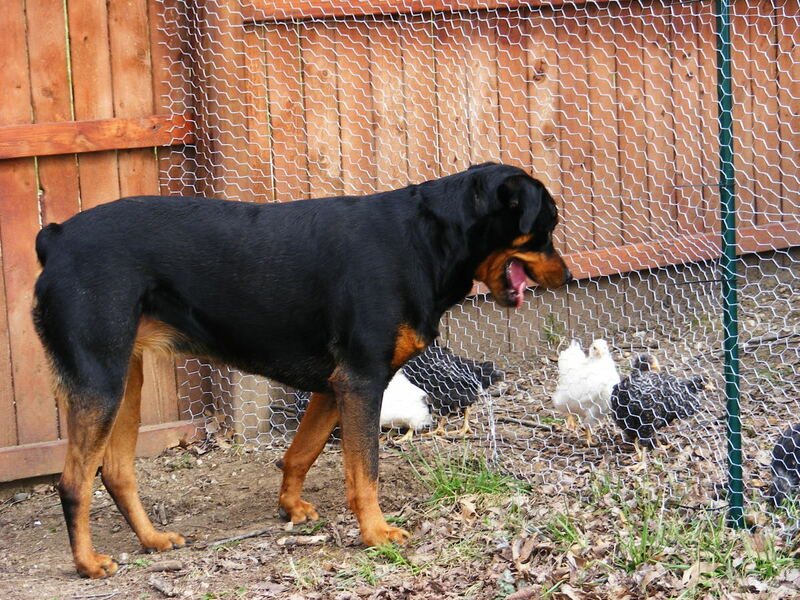 This means that even though dogs are attracted to meat, they can also eat plant material and survive with such a diet. Indeed, dogs have shown the ability to digest carbohydrate-based foods. As such, dogs unlike cats don't have a need for for taurine and they can create their own arachidonic acid from vegetable oils. Unlike cats, they aren't dependent on meat-specific protein and don't necessarily require to consume a very high level of protein in order to fulfill their basic dietary requirements. Additionally, recent studies have found that dogs, unlike wolves, have adapted to digest a starch-rich diet as a part of domestication. So what are the side effects if a dog was allowed to eat cat food, especially on a regular basis? For starters, the protein-dense diet of cats can cause an upset stomach in dogs with sensitive tummies. Even if say your dog would have an iron gut, the long term ingestion of cat food would create problems because its' not properly balanced for canines when it comes fiber and protein content and certain nutrients. Additionally, Dr. Crowell-Davis adds that the great amount of protein can be hard on the dog's liver and their kidneys. Not to mention the effects cat food can have on a dog's waistline. Cause for blame is the cat food's heavy doses of fat. 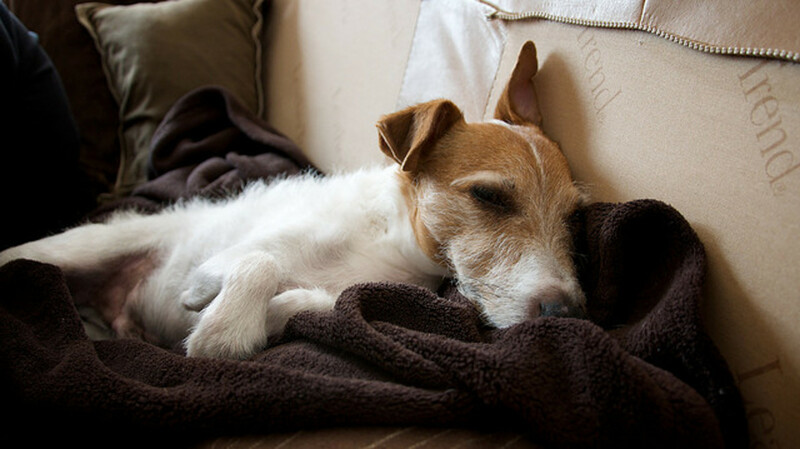 This may cause cat food-eating dog to develop a tendency to be obese and even risk developing a case of pancreatitis, explains Dr. Patty Khuly. Kitten food in particular seems to be even more harmful due to its higher levels of protein and fat. So in order to keep Rover safe and healthy, make sure that he is specifically fed a diet purposely tailored for his or her own species. Disclaimer: as with all of my other articles tackling dog heath or food, this article is not a substitute for professional veterinary or nutritional advice. Dog Health: Can Dogs get Sick From Eating Cat Feces? Why are dogs so attracted to cat poop and why do they eat cat feces? And what can happen when dogs eat cat stools? Consequences make keeping the cat litter box away and cleaning the yard a good management option. 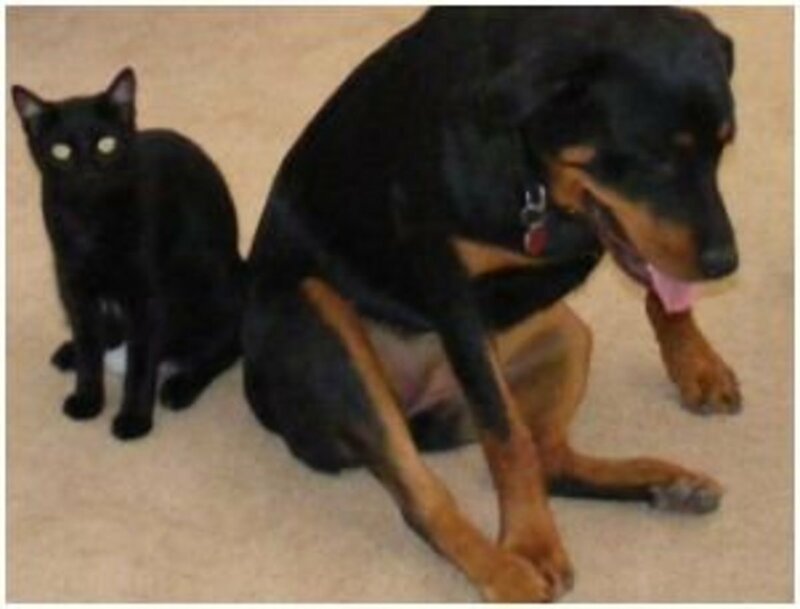 How can you stop a cat from attacking a dog? Yes, you read it right, some cats do attack dogs. Learn why cats may do this and some strategies to stop the attacks and break up fights. My dog recently ate cat food and now has diarrhea. Will the cat food just work its way out of him? Will it hurt a puppy if he eats cat food? My dog got into the cats hard food and soft food. Now he is vomiting. How long will this last? I called the emergency vet and they said to feed him boneless skinless chicken and rice for a few days. It is not easy to say how long it will last because it depends on various factors such as how sensitive your dog's GI tract is. 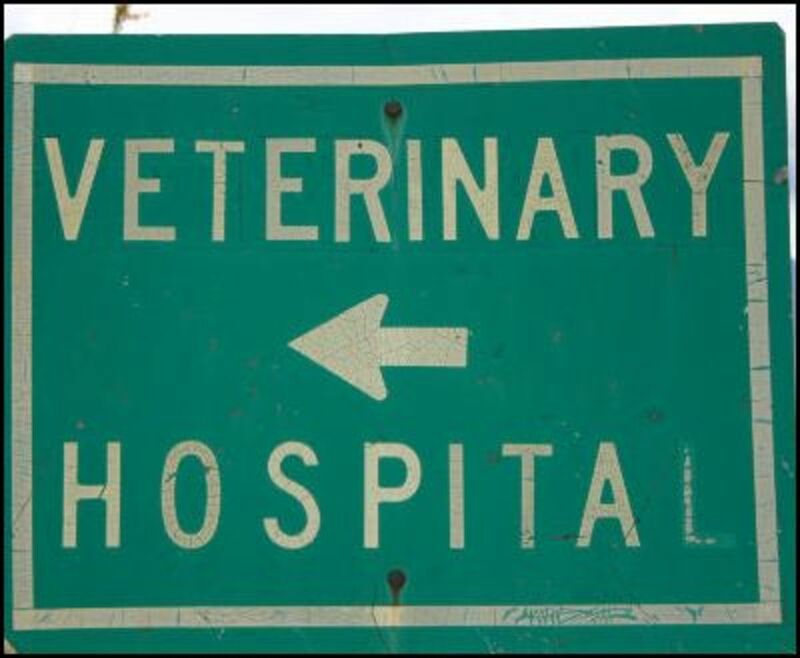 Consult with your vet if the vomiting persists despite doing a bland diet or if there is an onset of new symptoms (lethargy, dehydration, loss of appetite). Sometimes, before starting the bland diet, a fast of 12 hours can help give the tummy some rest. Allowing the dog to drink too much at once may also trigger vomiting, so it may be worthy of encouraging small sips. Offering ice cubes may be a good way to allow the dog to hydrate without vomiting. I accidentally mixed the dry dog food and dry cat food together. Is it ok for my dog to eat this combination? If this is a one-time accident, no major harm should arise. You may expect some self-limited digestive upset from the change in diet. I would suggest monitoring his stools. My Chihuahua has been eating bacon every day for two years. Could she die? I didn't know dogs couldn't have bacon. Dying from eating bacon sounds like a long shot. Bacon is not the healthiest food out there for sure, but I wouldn't consider eating bacon a death sentence. It's high in fat which may cause pancreatitis and often contains nitrates, but if your Chi has been fine so far, it sounds like no major harm was done. I do suggest you stop feeding her bacon and start feeding her species-appropriate dog food. My dog got a hold of some cat food and. She had dieareha and vomiting and was cotipated for a week. She wouldnt eat or ply all she wnatedd was to sleep. But i was told to give her some raw pumpkin pie feeling. I had to mfeed it to her. After 3 days she started comming arround. Now she is fine and back to herself. I thought at first she was dying. But kept on feeding her that pie filling at least 3 times aday. My dog wants canned cat food . When I feed the strays I give her a can every morning. I did not know they could get ill like what I've been reading. Is a can a day ok ? They are small cans. Why can't dogs eat bacon? Our dog has stopped eating dry and canned food straight up. If we sprinkle a spoon or two per bowl of dry or canned cat food & mix it in, he eats it and licks the bowl clean. We do not do this daily, but 2-3 times a week. He is a 13 year old blue heeler/retriever mix weighing 68 pounds. His vet just saw him & said he was very healthy. Can we continue to feed him that small amount of cat food to entice him to eat? Sounds like a good plan, Mrs Mark Fines! Our dog loves cat food ....he is three and i have tried over and over but he will not eat dog food of any kind! So i have bout 8 cats out side he loves to eat cat food with them! He will eat regular bacon& cheese & chicken doggie treats! Loves bones ! But his favor is cat food! He is very healthy& happy! So i just let him eat with his cats! thanks for letting me know i was worried cause my brother gave my dog cat food and i was nervous that it would give her an infection or something. now i know what happens if they do great hub. My small terrier likes to eat my new 3 month old kittens can cat food when I'm not looking! They have different eating rooms but she sneaks in sometimes can it hurt her she's 8 years old but in good health! So interesting and very useful to many dog owners. My cats used to eat their own cat food very fast which often meant they regurgitated it back up. 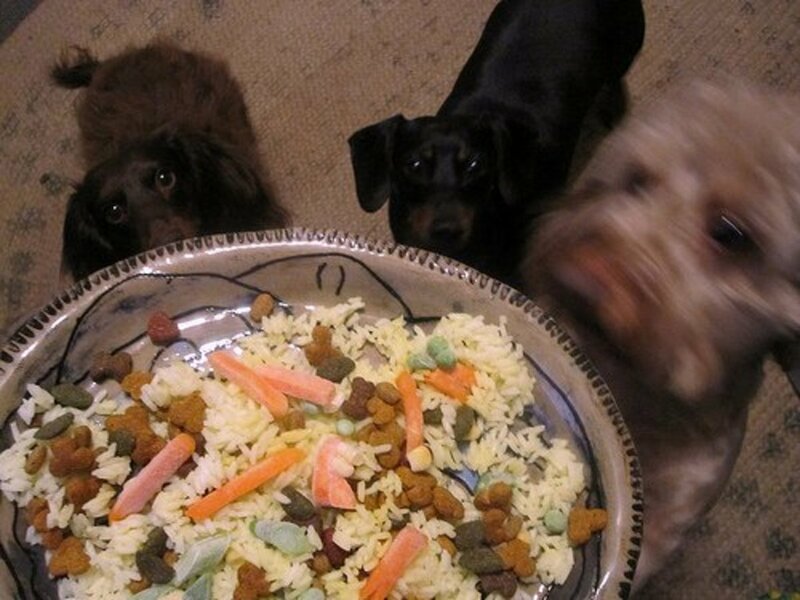 My dogs were always running as soon as they heard them retching, in hopes of getting a warmed up meal, yuck! Luckily, the "leave it command" came on handy at those times! I've always heard that cat food is bad for dogs. They sure do love it, though! It's nice to have more details as to why it's bad for them. Great hub! Thank you for posting. I didn't realize the affect cat food can have on them. Voted useful & interesting.